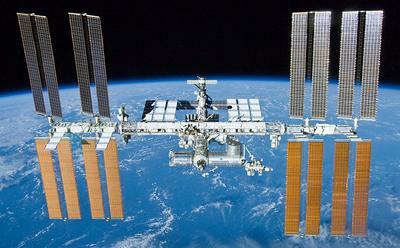 Scientists will test the muscle health of astronauts on the International Space Station. Scientists at the University of Southampton will carry out the first study of the effects of space flight on human muscle tone, thanks to a grant from the UK Space Agency. 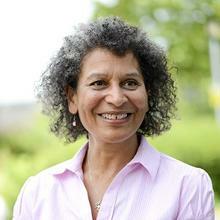 Maria Stokes, Professor of Musculoskeletal Rehabilitation at the University of Southampton, has been awarded £191,892 for her team’s part in an international project to monitor the muscle health of astronauts on long-duration missions on the International Space Station (ISS). The loss of skeletal muscle mass and strength is a well-known side-effect of space travel. The project findings will not only help astronauts on future space missions deal with this, but will also benefit people on Earth by feeding back into research around muscle-wasting conditions. Understanding more about what happens to muscles when they are not used will give insights to help find the most effective ways of reducing and reversing the effects of disuse in astronauts or pathology in patients. The tone of a resting human muscle is affected by tissue called fascia, as well as the tissue within the muscle itself, and together these shape the human resting muscle tone (HRMT) system. This project will be the first time that the HRMT system and the effects of weightlessness (termed microgravity) have been studied in space. The biomechanical properties of ISS crew members’ muscles will be monitored before, during and after flight through non-invasive, objective measurement using two different technologies. Ultrasound images will be used to measure muscle thickness to see how this changes over the entire duration of the mission, from start to end. Meanwhile, a recently developed device called the MyotonPRO offers a hand-held, user-friendly and non-invasive method to measure key biomechanical parameters, e.g. tone and stiffness, of the superficial skeletal muscles, tendons and other soft biological tissues. Professor Stokes said: “We are delighted with this award from the UK Space Agency, which gives a unique opportunity to monitor astronauts and learn more about the changes that happen to their muscles during and after spaceflight. Funding for the Southampton work – part of an international project led by Professor Dieter Blottner, of the Charité Universitätsmedizin Berlin – is part of more than £500,000 awarded to three projects based at British universities, announced by the UK Space Agency today [Wednesday 8 November]. The funding, from the Agency’s Microgravity Science Programme, will assist scientists who have upcoming experiments in European Space Agency microgravity facilities, including the ISS, parabolic flights and bedrest studies. Libby Jackson, Human Spaceflight and Microgravity Programme Manager at the UK Space Agency, commented: “We are delighted to be supporting the growing microgravity science community in this research. These exciting experiments will further our understanding of how the human body copes with the challenging environment of living and working in space, which in turn will help humans to carry out more research in space."